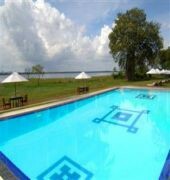 The Lake Hotel is located overlooking the picturesque Parakrama Samudraya in Polonnaruwa (45 km/50 min drive from Habarana), easy access to the famous Wasgamuwa Wild Life Park and Tivanka Image House. 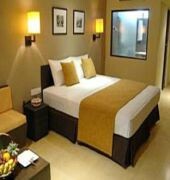 Room facilities consist of in-room safe, mini bar, tea and coffee making facilities, flat screen TV with satellite channels and en-suite bathroom with bath amenities. 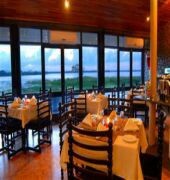 With a choice of either buffet or al la carte menu, the on-site restaurant serves Sri Lankan and Western cuisine while a range of beverages are available at the bar. There is an outdoor swimming pool situated in the extensive garden of the hotel where guests can enjoy swimming or laze around all day on the sun beds. 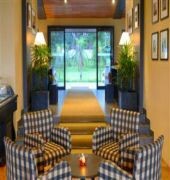 Other services and facilities include a 24 hour front desk, foreign currency exchange, doctor on call and free car parking. Wireless internet connection is available in the lobby area. 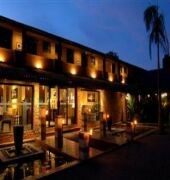 The Lake Hotel is 212 km journey from Katunayake International Airport.